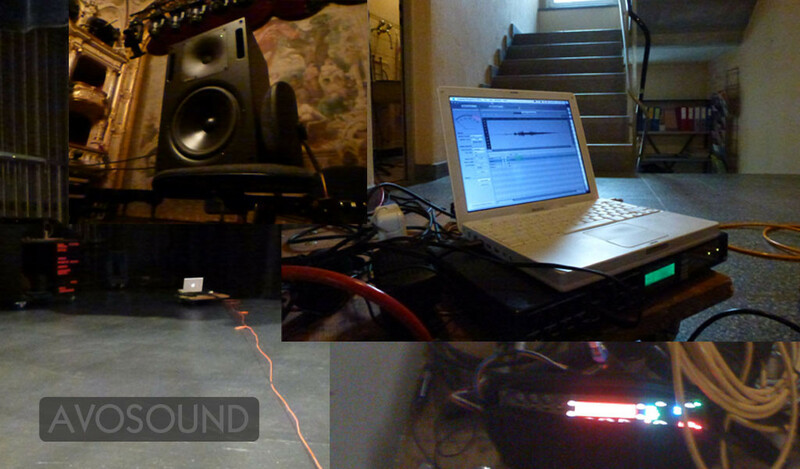 In my work for the IR1 Impulse Response Set, I ventured to the creation of impulse responses. Since I made all of these mistakes and the frustration potential was considerably between, this has prompted me to write a detailed tutorial for creating impulse responses. The original idea, even briefly record some impulse responses has, rather quickly turning out to be extremely complex issue with lots of stumbling blocks. Tools have failed, hardware has given up the ghost and it turned out that an iPhone does not tolerate phantom power, even if it was given in error when testing for the headphone jack. Also, I quickly realized that there is no reasonable solution to create impulse responses with more than two channels. Convolution reverb is a widespread and often-used tool in the audio post-production and is an excellent way to reverb sound material. As with the 'Worldizing', where sound material played back over a loudspeaker to original locations such as in churches or outdoors, this can be compared to convolution reverb and impulse response to bring back 'dry studio material' in a natural environment. Now it is obvious to create multi-channel impulse responses for their own productions, without having to waste two stereo reverb plug-ins to two audio buses for that. This tutorial is intended for all who want to try themself with impulse responses. First off: Creating multi-channel impulse responses is not made ​​on the fly. It needs some software tools, and equipment for recording and playback the sweeps. Also recording the sweeps requires much more time than you think originally, but it makes even more fun when you have gained experience.